Deep in the French countryside - as the country reels through rebellion, beheadings, and starvation - a goat herder named Odette is trying to survive. Just that is on her mind - survival. Since she marched to Versailles with a group of Parisian women to protest the high prices of wheat, her life has spun out of control. She's fled the capital for the countryside. But what will happen to her? Can she stay in the Dordogne, where the kindly farmers have taken pity on her? 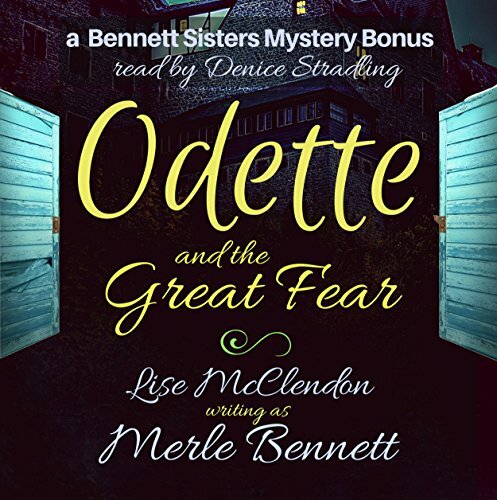 Odette and the Great Fear is a bonus novella from the novel The Frenchman, by Lise McClendon. Merle Bennett is writing a Gothic romance by that name, and sample chapters are included in The Frenchman. Here the story is fleshed out, characters are made clear, and outcomes are decided. Will Odette and her handsome stranger find each other? How did the count get his horrible scar? Will the villagers burn out the nobles for good? Listen to The Frenchman for the story of how Merle Bennett came to write Odette and the Great Fear. This historical story by one of my favorite authors is charming and memorable. I had known this one was coming because it is mentioned in one or more of the wonderful Bennett Sisters novels. Enjoy!